Here you can find a selection of free resources and guides relating to Insurance, Risk Management and running an effective business. Some of these resources are written by ourselves, whereas others are provided by leading insurers, or other organisations with an interest in helping you to manage risks or your business. 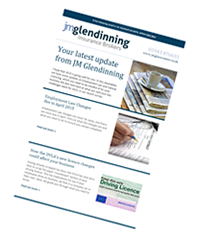 Our aim is to keep you updated on any new or significant risks and obligations that you or your business may face. Contact Us if you’d like more information on any of the guides here, or if you have any suggestions for subjects you’d like to see resources for. 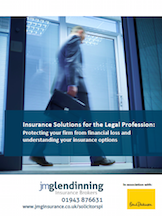 This tailored guide explains the current insurances available to protect solicitors from financial loss. Using ‘real world’ scenarios, it also explains how these insurances can be relevant to you and your firm. While this guide is intended to be detailed, there is also a ‘quick reference’ comparison table at the end. Cyber Crime is a growing problem for businesses of all sizes. Not only has it affected large global companies, but also independent SME businesses. 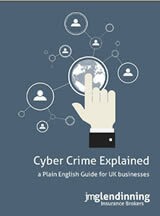 This guide explains how big a problem Cyber Crime is, how you can help avoid it, and what to do if you suffer an attack. This guide – written by global insurer Allianz, in conjunction with specialist lawyers DAC Beachcroft – can help you identify and manage the risks you face when your employees travel on business. 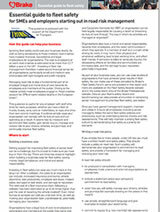 It explains in detail the risks and potential penalties of drivers using mobile phones or driving carelessly. 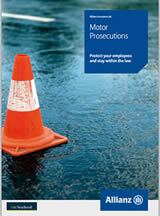 This guide can be issued to any of your employees who drive on business – be that in a company vehicle or their own. If you find these free resources useful, you’ll probably find our email newsletter to be of interest too. If you’re not already on the list for that, you can sign up at any time. We write about anything that we think will help you run your business more safely or effectively, and we only email every two months. We don’t pass your email address on and you can easily unsubscribe at any time.